Keeping track of your fitness activities – Regardless if you’re a runner, cyclist, skier, or simply a gym user, there are all sorts of smartphone apps that can help you keep track of your progress and understand how your body reacts to various activities. Going far beyond the days of simple pedometers, wearable gizmos can even keep track of how much of a workout you get in your everyday life. Understanding how you get a good night’s sleep – Related to the above, there are a variety of apps that will track your sleep cycles by monitoring how much you move around at night. By tagging your nights with some of the activities you did that day (working out, watching TV, late-night snacks, etc. ), you can start to get a picture of what kinds of things are keeping you from waking up refreshed in the morning. Finding the best way to/from work – This one doesn’t require a fancy app – just a stopwatch and a piece of paper to record your data. Online maps can give you a great idea of some of the routes that might be a good way to get to/from work, but they often come up short when it comes to predicting which traffic lights will go your way and how traffic might impact your drive on side streets. If you’re in the mood to experiment, try different routes every day, and note how much time it takes you using each route. Once you’ve got a month or two’s worth of data, look at your averages and see if you should change your habits to a better route! Tracking your caloric intake – Let’s face it: many of us have to keep track of what we’re eating at some level. Even if you’re not trying to lose weight, it can be helpful to understand how much nutrition you are getting every day, but most will agree that it’s not easy to write down every nutritional fact from every food you eat. 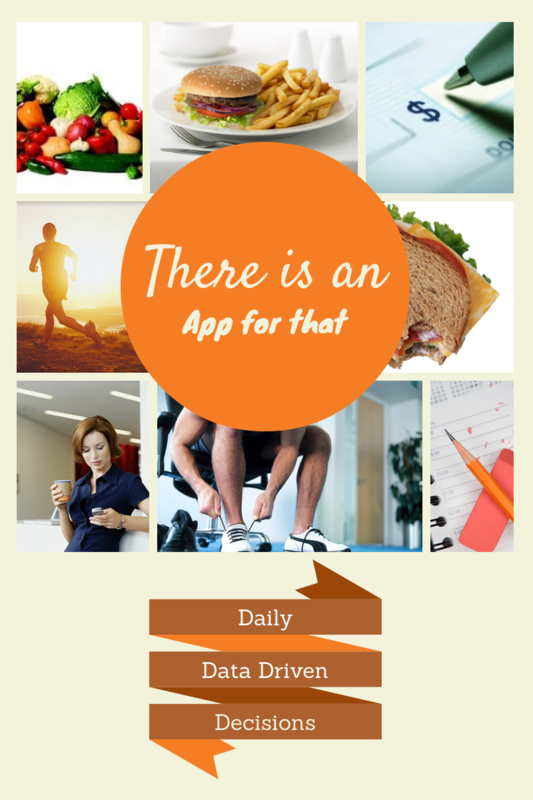 Thankfully, there are apps that can help! Some even let you simply scan the barcode of a food and will automatically add up the nutritional facts for you! Managing your finances – This is by no means a new idea, but it’s worth mentioning that financial management software can work wonders for your ability to understand your personal finances. Gone are the days when you would have to manually enter every transaction – software can simply download all of your transactions from your bank, making it simple to keep track of all of your accounts. Some even do all the hard work for you for free! These are just a handful of ideas on how you can use technology to collect and analyze data about your life, but there are many, many more. From health, to finance, to just plain quality of life, a little bit of work can pay off in a much better understanding of what makes you tick!